Today in History–July 14–the Library of Congress features novelist Owen Wister, born on this day in 1860, whose 1902 novel The Virginian helped create the myth of the American cowboy. 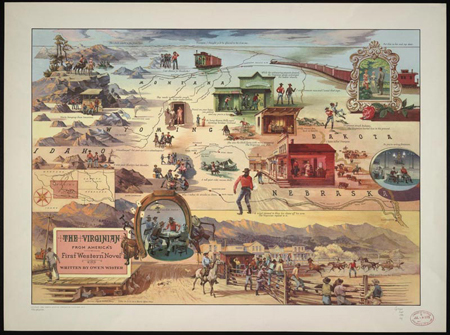 Click on the image above to zoom into key scenes from the novel highlighted on this literary map, then visit the Today in History section to learn more about cowboy culture. Still pining for more? Click the links below to access loads of cowyboy-related stories and primary sources.